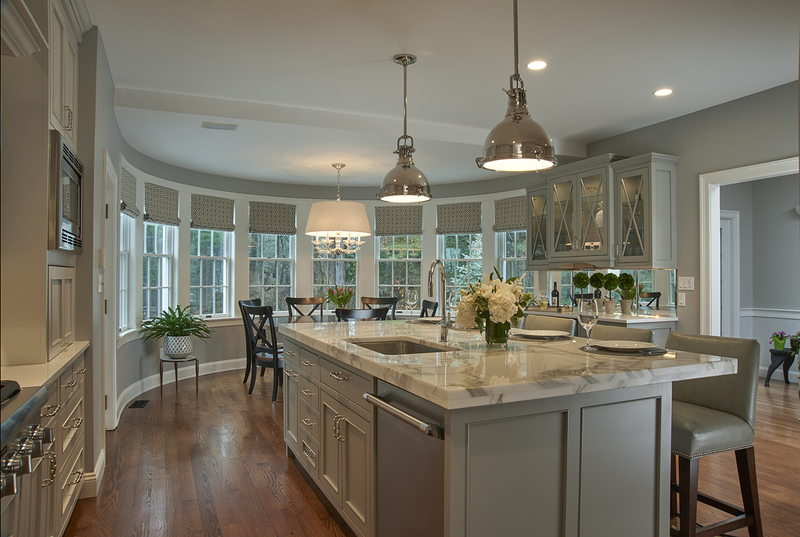 For the ultimate in fine cabinetry, inside and out, the Great Northern Classic Series is the one to choose. This upscale line gives you the most customization plus ½” plywood box construction with birch interior. One option you’re sure to love is the ability to have the interiors match the exteriors in both wood species and finish. 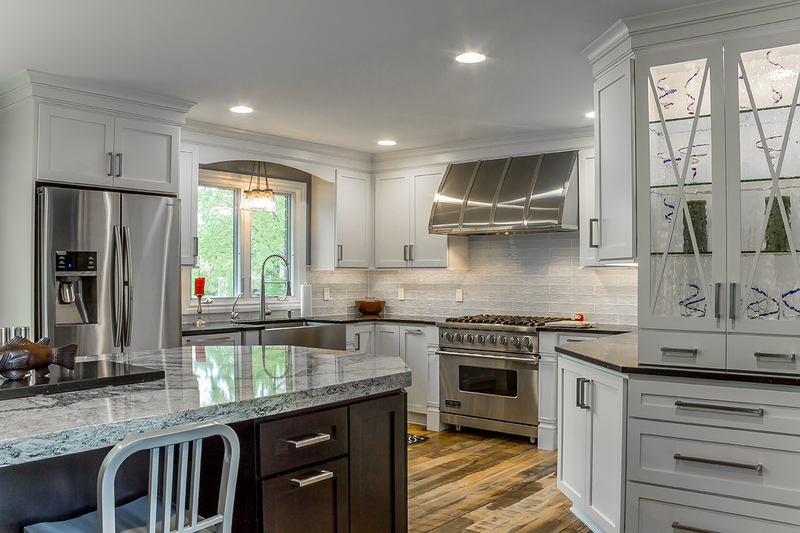 Whether it’s a kitchen, bathroom, family room, or office, you’ll find the styles that you are looking for with Great Northern Cabinetry. Choose from our wide variety of beautiful finishes, plus optional glazing or custom staining for a fine furniture look that will accent any room. The Classic Series reflects the highest quality with our sturdy I-beam construction, ¾” solid wood face frames, solid maple dovetail drawers, plus our finest ball-bearing tandem under mount drawer glides for a smooth and silent operation. The glides are full extension giving you maximum drawer access and have a lifetime warranty. You’ll love the wonderful accessorizing features and door styles that Great Northern has to choose from, plus door overlay options including inset. You have the reassurance that we use only the finest quality furniture grade materials for our cabinetry plus premium six-way adjustable concealed hinges. Face Frames: Constructed of 3/4” x 1 1/2” select kiln dried Oak, Maple, Hickory, Cherry, Alder, Rustic Alder or Rustic Hickory. The face frame joints are glued and then assembled using spacers to insure precise accuracy of all openings. All joints are then secured with self boring screws. Cabinet Sides: Cabinet sides are 1/2” plywood with a natural finished Birch interior. Exposed sides will have matching wood specie exterior at no charge. Concealed sides will have an unfinished exterior. When assembled, the face frame dado receives a bead of glue and the cabinet side is aligned and pressed into place by a machine to insure a tight and accurate fit. The cabinet side is then stapled to the face frame. Wall Tops & Bottoms: Constructed of 1/2” plywood with natural finished Birch both sides. The end panel is dadoed and receives a bead of glue, then the tops and bottoms are inserted, aligned and pressed into place by a machine to insure a tight and accurate fit. They are then stapled to the face frame and to the back. Base Cabinet Floors: Base floors are 1/2” plywood with natural finished Birch one side. The floor is inserted into the face frame dado, which has received a bead of glue. It is aligned and pressed into place by a machine to insure a tight and accurate fit, they are then stapled to the face frame and to the back. The base floor completely encloses the cabinet in the toe kick area. Cabinet Backs: Cabinet backs are 1/2” plywood with natural finished Birch one side. The cabinet sides are dadoed to receive the back and a bead of glue is placed into the dado and along the back of the cabinet floor. The backs are slid into position and stapled to the end panels, top and bottom floor. Shelving: Shelving is 3/4” natural finished Birch veneer on particle board. Both wall and base cabinet shelves are fully adjustable with durable clear plastic clips with metal posts. Temporary locking clips are included to hold the shelves in place during shipment. Base cabinets come standard with a 2/3 depth shelf. Optional full depth shelves are available. Drawers: The standard drawer is a furniture quality four sided 5/8” solid Maple drawer box with dovetail construction and 1/4” wood veneered bottom. The dovetail joints are filled, sanded and finished with a catalyzed finish. Drawer Glides: Drawer glides are zinc coated steel that are self-adjusting, self-closing and full extension. The Tandem Glide with Soft Close provides a quiet and extremely smooth running action. Locking devices mounted to the underside of the drawer keep the drawer fastened to the runners, yet allow for easy removal. The drawer glide has a 75 lb. rated capacity with a lifetime guarantee. Sliding Trays: The standard tray is a furniture quality four sided 5/8” solid Maple drawer box with dovetail construction and 1/4” wood veneered bottom. The dovetail joints are filled, sanded and finished with a catalyzed finish. Drawer glides are Full extension with Soft Close. The drawer glide has a 75 lb. rated capacity. Hinges: Most doors are available with a 6-way adjustable concealed cup hinge with an integrated Soft Close feature. Inset doors are also available with a Finial Hinge in a choice of four finishes: oil rubbed bronze, bright brass, silver and wrought iron at no additional or minimal cost. Some restrictions apply to some overlays and profile options. Finished Toe Kick: Available in eight foot lengths at additional cost. Finish: Our finish is the same durable catalyzed varnish that is applied to fine furniture and hardwood floors. Choose from our wide variety of beautiful finishes, plus optional glazing for a fine furniture look that will accent any room. With Great Northern, it’s easy to put together a look that you’ll love. You’ll love that Great Northern offers plenty of accessorizing features. Let your imagination run wild and enhance your kitchen by selecting from the many space-saving storage options and decorative treatments available. You can choose from a multitude of door styles and overlays including inset plus we use premium six-way adjustable concealed hinges. Would you expect to pay a lot for all these features? Not with Great Northern! Our Midwest location gives us direct access to the materials and the hardworking people that bring you the best plus our diverse product line gives you the look you want at the price you can afford. There’s just no reason to choose any other cabinet line. 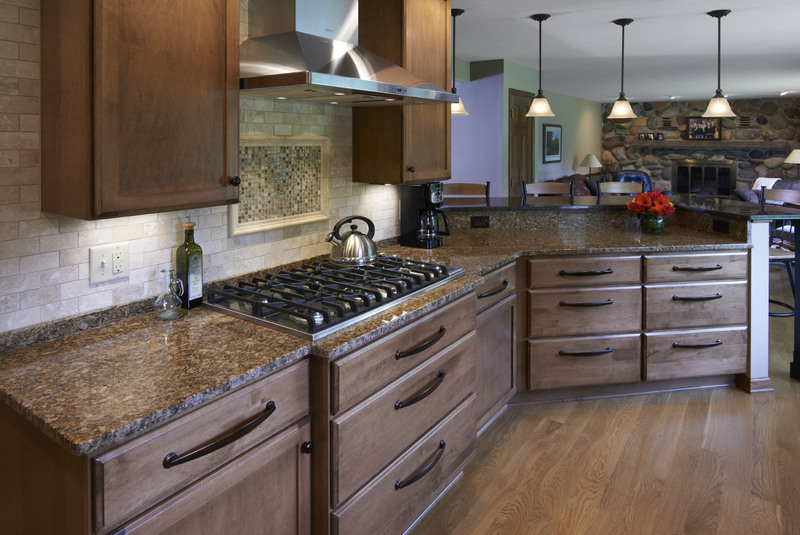 You can be assured of the highest quality, best value and the greatest selection with Great Northern Cabinetry! Cabinet Sides: Cabinet sides are 1/2” plywood with a natural Maple laminate interior. Exposed sides will have matching wood specie exterior at no charge. Rustic Alder factory finished ends will use Clear Alder material. Concealed sides will have an unfinished exterior. When assembled, the face frame dado receives a bead of glue and the cabinet side is aligned and pressed into place by a machine to insure a tight and accurate fit. The cabinet side is then stapled to the face frame. Wall Tops & Bottoms: Constructed of 1/2” 45 pound industrial particle board with a natural Maple laminate on both sides. The end panel is dadoed and receives a bead of glue, then the tops and bottoms are inserted, aligned and pressed into place by a machine to insure a tight and accurate fit. They are then stapled to the face frame and to the back. Base Cabinet Floors: Base floors are 1/2” particleboard with a natural Maple laminate one side. The floor is inserted into the face frame dado, which has received a bead of glue. It is then aligned and pressed into place by a machine to insure a tight and accurate fit, they are then stapled to the face frame and to the back. The base floor completely encloses the cabinet in the toe kick area. Cabinet Backs: Cabinet backs are 1/2” plywood with a natural Maple laminate one side. The cabinet sides are dadoed to receive the back and a bead of glue is placed into the dado and along the back of the cabinet floor. The backs are slid into position and stapled to the end panels, top and bottom floor. Shelving: Shelving is 3/4” industrial grade particle board with a natural Maple laminate and matching edgebanded front edge. Both wall and base cabinet shelves are fully adjustable with durable clear plastic clips with metal posts. Temporary locking clips are included to hold the shelves in place during shipment. Base cabinets come standard with a half depth shelf. Optional full depth shelves are available. Finish: Our finish is the same durable catalyzed varnish that is applied to fine furniture and hardwood floors. For detail of our finish, see the section on Finish Detail. Affordability plus quality are the hallmarks of any good cabinet line. You’ll find this and more built into Great Northern’s Great Lakes Series. We offer you the same great styles and looks that you want plus a vast array of options to give you that special custom touch when you need it. There are sizes to fit every creative design application, plus it is easy on your budget. Whether it’s the kitchen, bathroom, family room, or office, choose the look, the door style, and the options you want plus you won’t pay for all the extras you don’t need. Pick and choose what is right for you, for your lifestyle and your budget. On top of it all, with the Great Lakes Series, there are no limitations on cabinet sizes, accessorizing features, door styles or finishes. You can create the look you are dreaming of with the endless options available. No matter the size of the room or its function, you’ll find all styles you are looking for with Great Northern Cabinetry. Cabinet Sides: Cabinet sides are 1/2” 45 pound industrial particle board with natural Maple laminate on both sides. When assembled, the face frame dado receives a bead of glue and the end panel is aligned and pressed into place by a machine to insure a tight and accurate fit. The end panel is then stapled to the face frame. Exposed sides will have a matching wood specie exterior at no charge. Rustic Alder factory finished ends will use clear Alder material. Base Cabinet Floors: Base floors are 1/2” 45 pound industrial particle board with a natural Maple laminate one side. The floor is inserted into the face frame dado, which has received a bead of glue. It is then aligned and pressed and into place by a machine to insure a tight and accurate fit, they are then stapled to the face frame and to the back. The base floor completely encloses the cabinet in the toe kick area. Cabinet Backs: Cabinet backs are 1/2” 45 pound industrial grade particle board with a natural Maple laminate one side. The cabinet sides are dadoed to receive the back. A bead of glue is placed into the dado and along the back of the cabinet floor. The backs are slid into position and stapled to the end panels, top and bottom floor. Drawers: The standard drawer is a furniture quality four sided 5/8” solid Maple drawer box with dovetail construction and 1/4” wood veneered bottom. The dovetail joints are filled, sanded, and finished with a catalyzed finish. Drawer Glides: Drawer glides are under mount epoxy coated metal that are captured one side for easy closure and minimal side play. The cabinet member glide is placed into an adjustable socket that is secured to the cabinet back and screwed to the face frame. The drawer box member glide is securely attached with screws also. The drawer glide has a ¾ extension and a seventy five pound rated capacity. Tandem full extension under mount drawer glides with Soft Close are available, see the 1500 Accessory section. Sliding Trays: The standard tray is a furniture quality four sided 5/8” solid Maple drawer box with dovetail construction and 1/4” wood veneered bottom. The dovetail joints are filled, sanded and finished with a catalyzed finish. Drawer glides are epoxy coated steel that are self-adjusting, self-closing and 3/4 extension. The drawer glide has a 75 lb. rated capacity. Tandem under mount drawer glides with Soft Close are available, see the 1500 Accessory section.